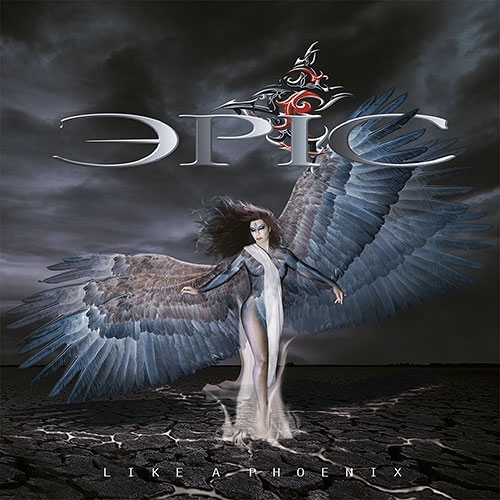 Epic is composed of songwriter Tanya Rizkala on vocals and composer Mario Agostine on Guitars, Souheil "Sous" Moukaddem on drums, and Mike Ganime on bass. They are one of these bands that you’ve never heard of, but once you have then you are all the better for it. The album was self released by the band late 2015 and has recently been picked up by UKs Escape Music. They are certainly giving Eden’s Curse a run for their money with regards to Countries represented – having Canadian, American and Lebanese roots. The air miles earned must be fantastic!! This power quartet is drawing on years of experience and musicianship and playing in international venues and large arenas alongside some of the legends of rock for over 20 years and this shows in the present day as its all come together as EPIC. They were formed in 2011 and best things come to those who wait. The name is a tribute to the comeback of the classic rock genre in which EPIC are hoping to emulate and follow in some giant footsteps. The cover of the album is certainly not what you expect to come out of your speakers. You anticipate something in the vein of Nightwish, or Within Temptation etc, as a symphonic rock band but the actual result is one of good old melodic rock / classic rock / and some metal goodness. You see, Epic sound like a blend of Heart, Romeo’s Daughter, Perfect and Saraya, with the clout of Whitesnake and Winger to name just a few. So if any of these aforementioned bands rock your little boat, then EPIC is right up your Boulevard (there’s another comparison without even trying). If you have the balls to call yourself EPIC then there had better be some substance backing up the name. Come to think of it calling your band name ‘Above Average’ doesn’t cut any ice either. Get the punters with a catchy name, right? Too right. ‘Love Will Find A Way’ and ‘All I Need’ are two of the heaviest songs on the album, with ‘All I Need’ sees Epic doing a Mr Big on our asses, and that is a good thing indeed. ‘Love Will Find A Way” has a bit more spit and polish to it than ‘All I Need’ and falls directly in Romeo’s Daughter territory, and for part of it, Rizkala has that same sultry tone as Leigh Matty. Title track ‘Like A Phoenix’ has a more melodic metal rock guitar sound and its here where it works a treat. All this proves that Epic are not to be pigeonholed into one specific genre. To be fair to Epic, there's a decent mix up of rockers, mid tempos, and ballads. ‘I Can Take You’ is probably one of the best ballads you’ll hear this side of 1992, and ‘Sleepless Angel’ has Heart/Wilson running through it like a stick of rock, with a smidge of Nelson’s ‘(Cant Live Without Your) Love and Affection’. With songs like ‘My Everything’ is where Rizkala really shines. It’s all taken down a notch musically, but the main instrument here is her voice. Just when you think its time for another ballad, ‘I Need You’ powers into action and Tanya's sound is taken from Cher’s school of rock. ‘Nah Nah Nah’ is one of those songs that just gets you in the mood, part Thunder (especially the chorus), Whitesnake, and Extreme! ‘Like A Phoenix’ will certainly make some peoples Top 10 lists come December, and there’s certainly a lot of positives to be taken from it if you’re a fan of 80s inspired melodic rock/ classic rock. One thing is certain, after this, I’m really looking forward to their next album. Definitely worth buying and adding to your collection. They have taken their first footsteps into becoming Classic Rock /Metal giants.